Click to watch the Earth Knack video. 2015 marks the 25th year of Earth Knack programming! Who ever imagined rubbing two sticks together would go this far? We will celebrate this milestone June 25-30 during the Earth Knack Family Gathering! 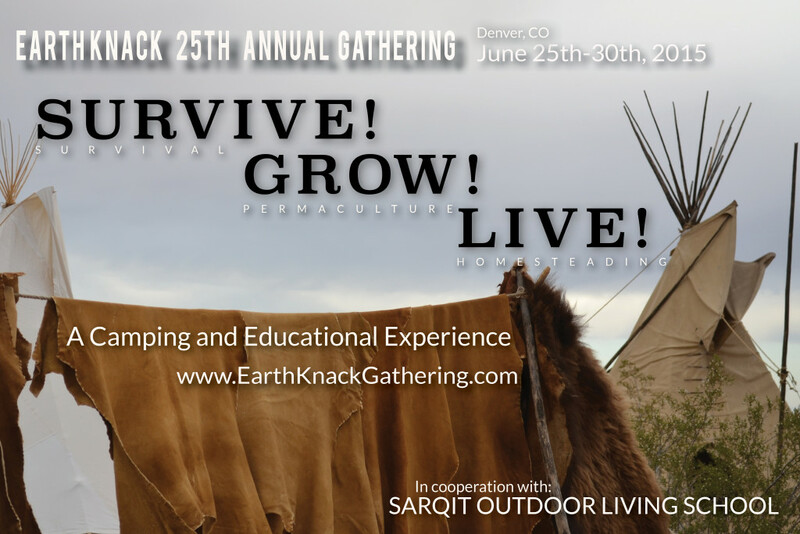 This year, the gathering will be held in the south Denver area and we hope it will help all our Earth Knack family and friends–past, present, and future–more easily attend. It will be fun to return to the Front Range, where we ran our June gatherings for Earth Knack’s first ten years! Many of our long-time Earth Knack instructors reside in this part of Colorado, so we are calling our top-quality instructional team together for this event. Drover and Beth Hall, founders of Sarqit Outdoor Living School, are co-hosting this event with Earth Knack, and have found a beautiful location for the camp at Happy Dog Ranch, a therapeutic horse ranch that borders Chatfield State Park in Littleton, Colorado. Camp set-up is Thursday June 25 (the perfect date for a 25th anniversary! ), with classes running all day and Monday, June 26-29. Camp closing and pack-up happen on Tuesday, June 30. 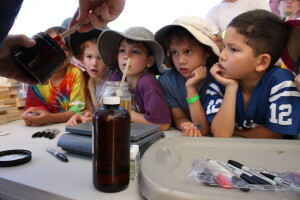 Please visit www.earthknackgathering.com for specific information and full logistics for our 25th Annual Family Gathering program and how you can prepare to attend! You can find Earth Knack’s 2015 programming, instructor profiles, and upcoming classes and events at www.earthknack.com. 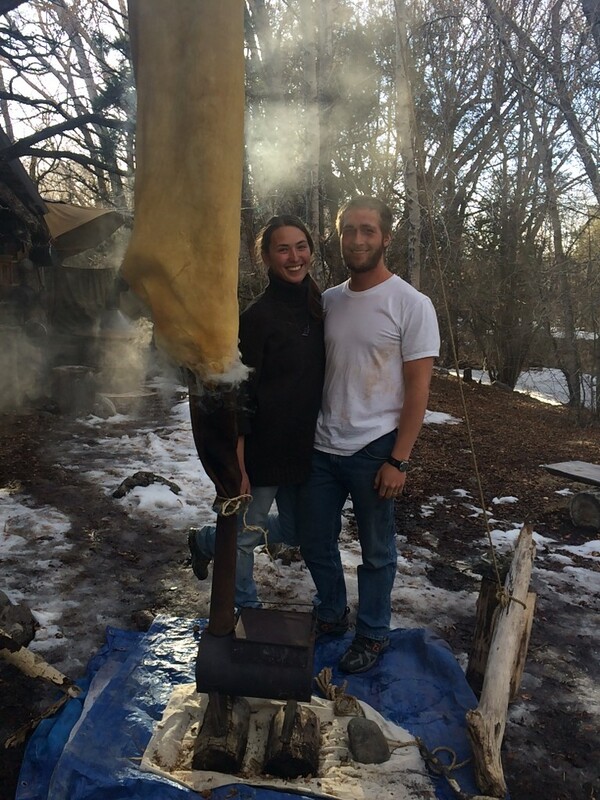 Sam and Jillian Liebl, Earth Knack internship graduates, have joined the Earth Knack team in 2015 and have implemented a satellite Earth Knack program in Salida, Colorado. They are bringing quality adult primitive skills classes to the Salida community and also launching a new kids program over the coming spring break called Earth Kids Camp. The response to their camp has been terrific so far, and their weekend adult fire making classes have been well attended over the last month. Jillian is also responsible for the wonderful new calendar listing on our Earth Knack web page, and the production of our 2015 class schedule brochure. See our online class schedule for all Salida class dates. On April 25, I will be joining a team of speakers in Boulder, Colorado, for an E-Town seminar entitled Tapping the Potential of Nature and Simplicity. Scott Edwards, creator of the MeSimple Learning Series, designed this seminar and has invited me to speak about Outdoor Living and Nature Immersion. Please tune in or attend. More information at www.mesimple.com. Enjoy the spring and please do whatever you can to get to the Earth Knack 25th Anniversary celebration June 25–30, near Denver, Colorado. It’s been a great ride! Buckets of gratitude to the great big Earth Knack family………. EARTH KIDS Spring Break Camp! We’ve been getting a great response in the last few days from Salida parents about our upcoming EARTH KIDS Spring Break Camp! Boy, oh boy, are we going to have fun: archery, natural pigments, stone tools, friction fire, plant walks, silly stories and songs… Yippee! We can hardly contain our excitement. Making pottery with natural clay at Wintercount 2015. 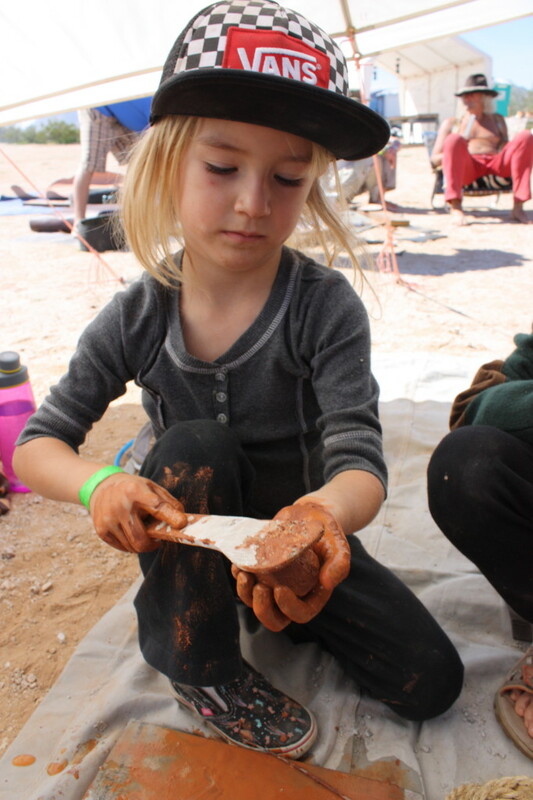 EARTH KIDS will be held in Salida March 23-27 from 8 am to 3 pm each day. Full week registration is just $225, or you can choose one or more days to come for $50 per day. Check out our jam-packed, fun-filled course schedule here: EARTH KIDS Spring Break Camp Schedule 2015. Camp is filling up quickly, so complete your registration as soon as possible here. You can save 10% when you register early–by the end of the day TOMORROW, Friday, March 13. Email Jillian with any questions: jillianliebl [at] gmail [dot] com. Boys enraptured with soap-making at Wintercount 2015. "Primitive living skills for the 21st Century"